This classical series mixes simple flower and leaf shapes with silken finished precious metal plates to produce this beautiful set of items. The plain metal finish makes these pieces very versatile as you can wear them with anything! Available in gold or silver plate. 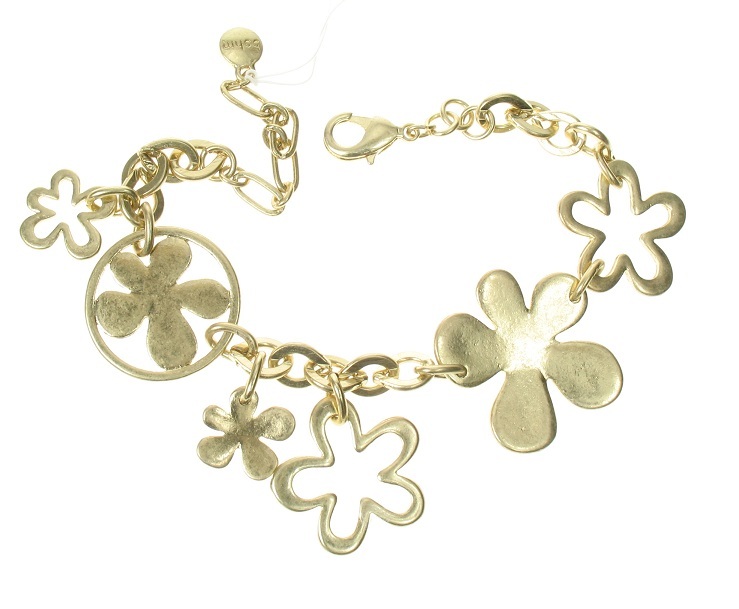 Flower bracelet. 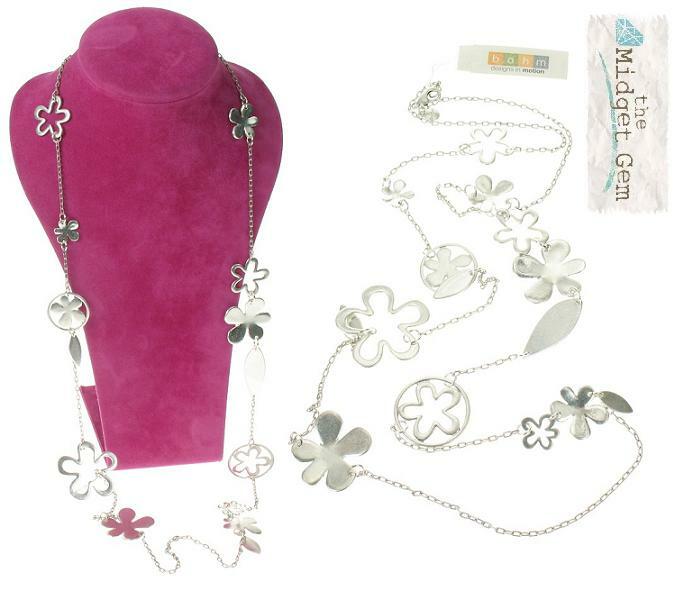 Featuring a selection of flower shapes with dangly flower charms. Smallest flower 1.5cm/15mm largest flower 3cm/30mm. Adjustable length 19cm/7.5 inches to 24cm/9.5 inches. 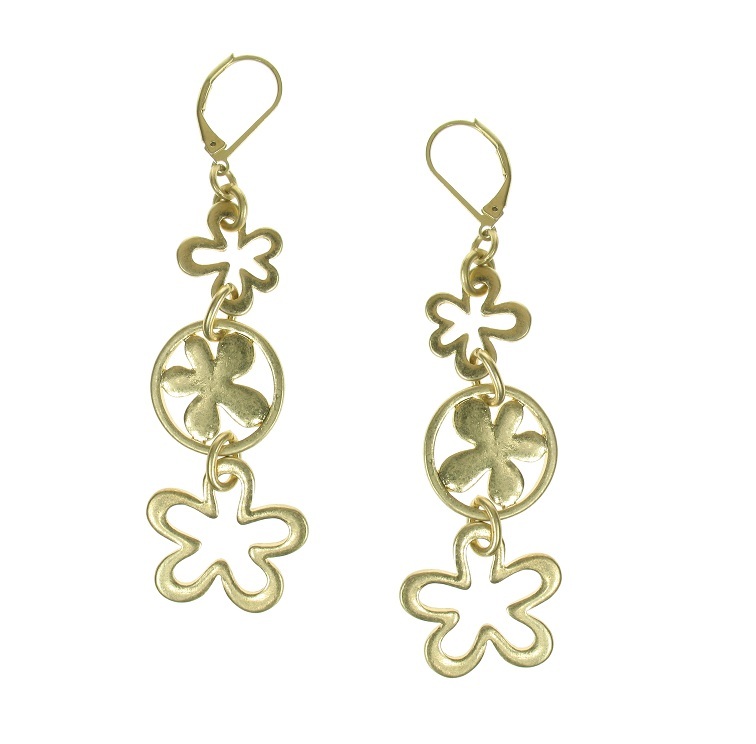 Blossom flower earrings with french clip hook for pierced ears. Largest flower motif measures 2.3cm/23mm. Total length 9cm/90mm. Please note the gold version has textured leaves whilst the silver version has smooth leaves. Long length flower necklace. 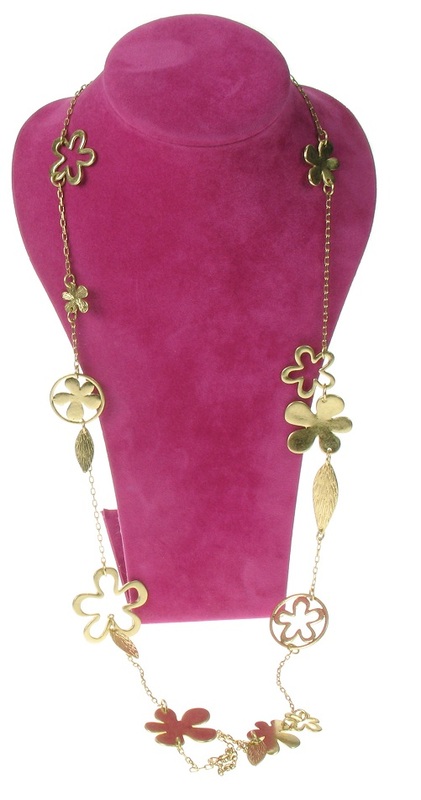 Featuring a selection of flower shapes with dangly leaf charms. Smallest flower 1.5cm/15mm largest flower 3.5cm/35mm. Total length 42 inches/107cm. The clasp allows you to layer-up the necklace for a different look. Please note the gold version has textured leaves whilst the silver version has smooth leaves. Long length hoop pendant flower cascade necklace. 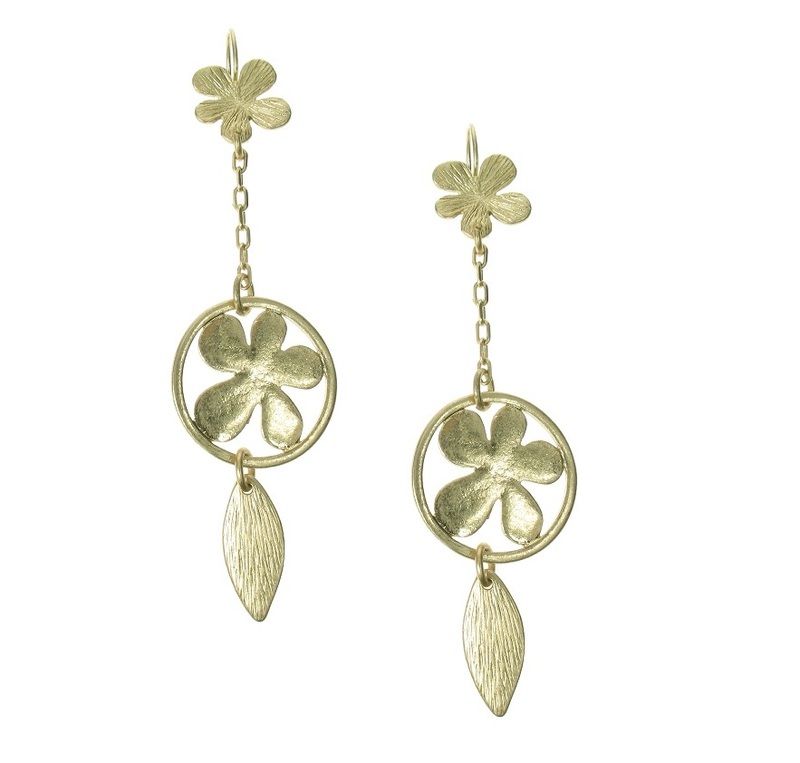 Featuring a selection of flower shapes with dangly leaf charms. Smallest flower 1.5cm/15mm largest leaf 3.5cm/35mm. Pendant length 15cm/6 inches. Total length 31 inches/79cm. The clasp allows you to layer-up the necklace for a different shorter look. Pretty flower charm necklace. 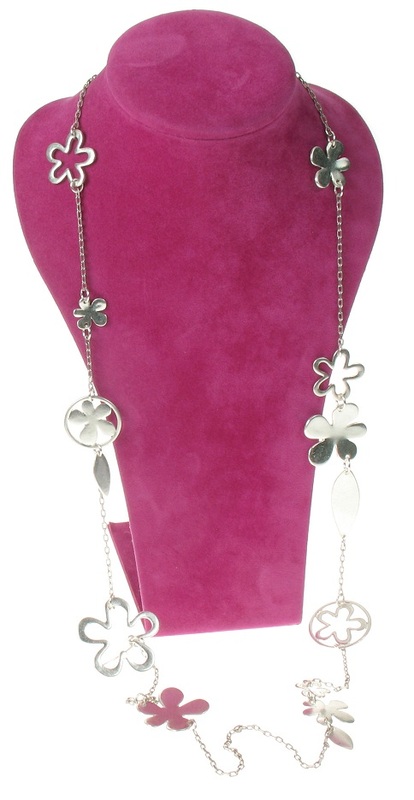 Featuring a selection of flower shapes with dangly leaf charms. Smallest flower 1.5cm/15mm largest flower 3cm/30mm. Adjustable length 16.5 inches/42cm up to 20 inches/51 cm. Length of front drop 9cm/90mm. The clasp does fit through the chain's links so you can wear it at a shorter length. 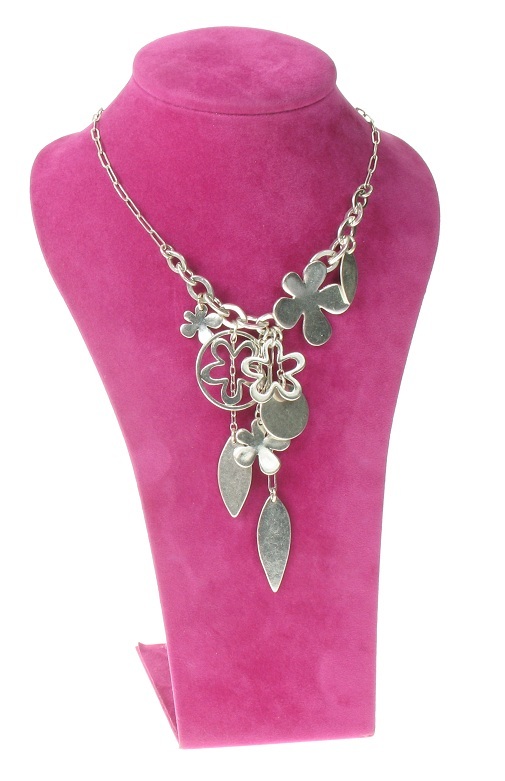 A beautiful floral out-line pendant necklace. The flower measures 5cm/50mm. Multi-strand tiger tail cords measure 16 inches/41cm to an adjustable 19.5 inches/49.5cm. Trio 'Blossom' flower earrings with french clip hook for pierced ears. Largest flower motif measures 2.3cm/23mm. Total length 8cm/80mm.